I was so lucky this weekend to be able to be part of an annual girls weekend with my cousin and her wonderful friends. We went to the Porcupine Mountains in the UP and were able to see waterfalls and hike. This is Bond Falls on our way out of Michigan to get back into Wisconsin. It was Gorgeous...don't you think! 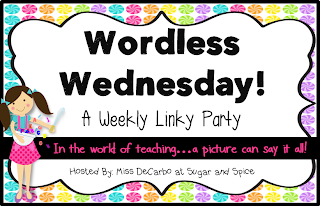 Sugar and Spice and Wordless Wednesday is always a fun place to stop. Lots of great pictures that are wonderful!